ExerCYse is a Department of Kinesiology Outreach program that is working to advance the global 'Exercise is Medicine' (EIM) initiative. The goal of the EIM initiative is to increase visibility about the importance of physical activity and to advance the notion of exercise as a 'vital sign' in the medical community. 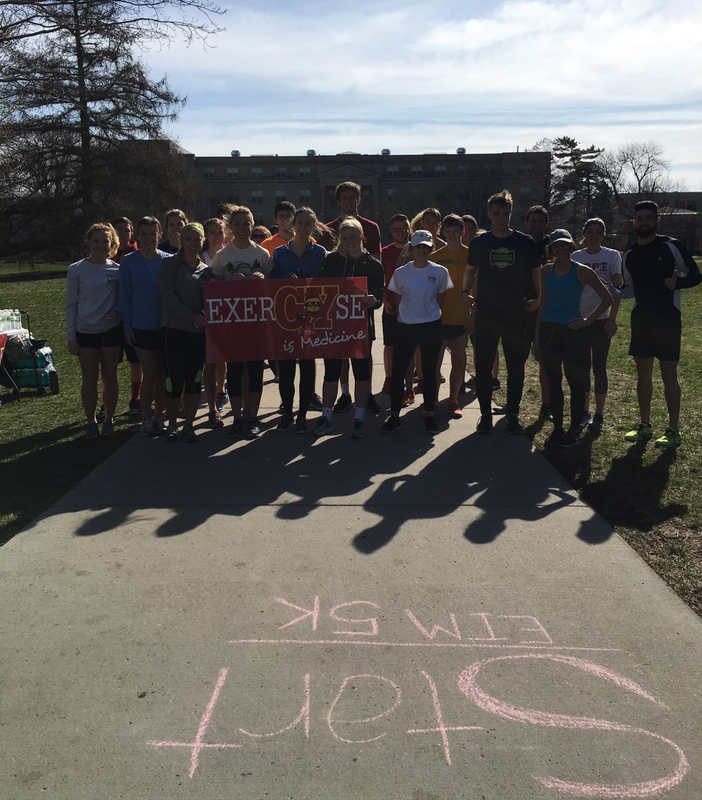 Click here to see an ISU news story about our student-led ExerCYse programming. 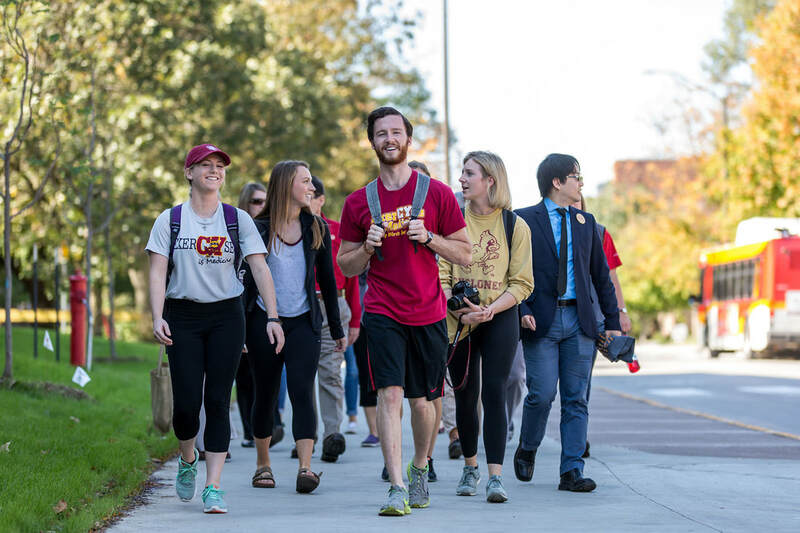 ExerCYse at Iowa State University is officially recognized by the American College of Sports Medicine (ACSM) as an Exercise is Medicine - On Campus (EIM-OC) program. We achieved Silver status in 2017 and are continuing to enhance the program over time and are pushing for Gold designation next. Visit the Kinesiology Outreach link to learn more about the unique vision of EIM-OC and how our group is achieving this vision. During the spring semester of 2017 we held a raffle-style fundraiser for The Ames Miracle Playground and Field. We raised $1000 for this cause! The Miracle Playground and Field is an all-inclusive playground that will be built in Inis Grove Park for those with physical disabilities. There are currently over 1,000 children with special needs in the Story County schools, and this park will give them the play time they deserve! As an organized fundraiser for the Ames Miracle Playground and Field, we will be raffling off prizes collected from the ISU and Ames community. This project is expected to be completed in the next few years. We are now sending out monthly EIM newsletters! By subscribing to these newsletters you will receive updates on the organization, upcoming dates and events, tips on how to stay healthy, and ways to get involved in our EIM movement. There are two separate newsletters that we send out. One includes info for the campus community and the other includes info for our youth parents! Make sure to subscribe to the newsletter you would like to receive below! You can also check out our current newsletter here. Our SportTek dry-fit t-shirts make a comfortable and sleek addition to your attire. Stop by our ExerCYse is Medicine office anytime between 9am-3pm and grab yours for just $20. Our office is located in Forker 251. You can also purchase them through the ISU Bookstore either on campus or online by clicking the button below. A portion of your purchase will go towards continued health promotion activities at local schools, senior living facilities, and campus-wide activities! We need your help to keep enhancing and expanding our programming. Donations to support ExerCYse can be made directly through a secure ISU Foundation ExerCYse link. All proceeds will go to ExerCYse is Medicine to help with our events and future growth! Please check back in for updates about 2019's Spring into Exercise week! We will be hosting more events this year that everyone is welcome to join! 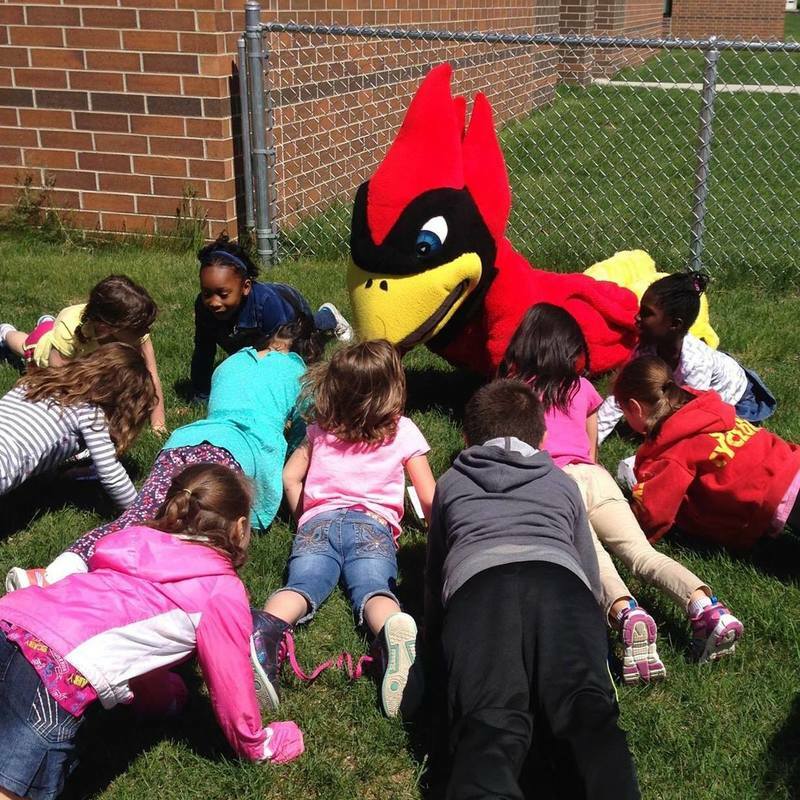 Check out our Spring into ExerCYse tab below to see the events and happenings for last year. Check out an article from the College of Human Sciences about our very own ExerCYse Time program here! We are always looking for more members to get involved and join us as we move forward with our initiative! Get started with ExerCYse is Medicine by following the button below to our ambassador page. Give pulse is the central Ambassador volunteer hub for all things ExerCYse! This hub provides our Ambassadors with a unique way signing up to volunteer for events and track their volunteer service over time. Students interested in ExerCYse should register through GivePulse.com and join the ExerCYse is Medicine group. We have a variety of volunteer opportunities to choose from. Visit our Volunteer tab to explore the events we hold among multiple populations. The ExerCYse team has partnered with the ISU Student Wellness program to provide personalized health coaching for incoming ISU students. Students are paired with trained, upper division health coaches and are guided in ways to adopt and sustain healthy lifestyles. Click the button below for more details on this program.